Do you think this is contaminated? I have to admit I needed to do a little research on the legal definition. The answer seems so obvious, and in many ways it is, contaminated land is land which is impacted with substances which pose a risk. A risk to what? Well, pretty much anything, people or groundwater for example. You’ll hear the term SPOSH used, this refers to point (a) above. How will the local authority get involved you may ask? Authorities will be interested in any land being developed as part of the planning process, and also they have the power under Part IIA to become involved in land which they believe may be legally contaminated. An environmental consultant who specialises in contaminated land will be able to help you assess if land is contaminated. 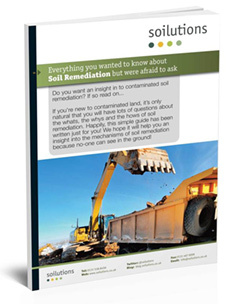 If you want to know what you can do with contaminated land then feel free to download the guide below, or visit the Services section of our web-site.